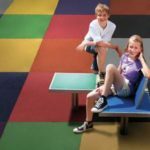 FlexRoc is a thick, seamless, slip-resistant cushioned rubber overlay composed of a urethane binder and granulated EPDM rubber. 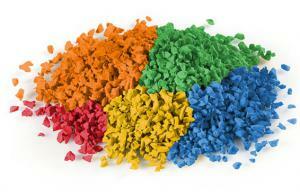 The product adheres to almost any substrate and the applications are endless. 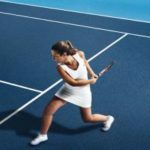 FlexRoc Cushioned Rubber is an ideal solution for things like pool surrounds, playgrounds, sundecks, walkways, running tracks, tennis courts, and more. 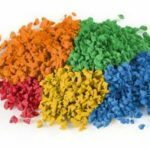 The product is a combination of the highest grade of coloured granulated EPDM rubber and an incredibly durable and UV stable clear urethane binder. 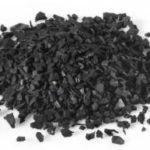 The rubber and binder is mixed in a portable electric mortar mixer and is troweled over your surface. Flexroc is then compressed using a flat trowel lubricated with soapy water to create a perfectly flat, seamless, and cushioned surface. 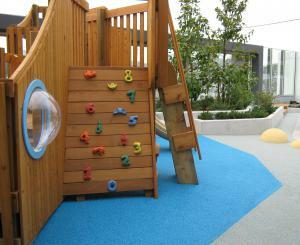 FlexRoc offers endless colour blends that cansuit any design scheme. Bags of rubber are packaged in uniform colours, which makes it incredibly versatile as every blend is a custom colour and can be mixed on-site. We currently stock the following neutral colours: Light Grey, Beige, Brown, Pearl, and Black; however there are over 15 other exciting colours available for special orders. So regardless of your application, we can accommodate your design needs efficiently and affordably. 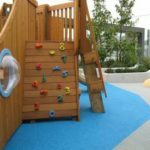 FlexRoc is first and foremost safe and cushioned, which makes it ideal for children's play areas, pool surrounds, assisted living facilities, and athletic centers. FlexRoc is slightly porous which means, regardless of slope, there will be no standing water or ice on the surface. This makes it the safest option for around pools or hot tubs. FlexRoc is incredibly durable and is frequently used on driveways and in garages. This is additional assurance that you will get an exceptionally long life on a pedestrian traffic area. FlexRoc is looks amazing. 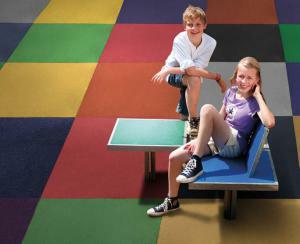 The customizable blends make it versatile, great looking, and opens opportunities to create custom designs or borders. 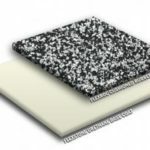 For a cushioned and 100% waterproof membrane for a sundeck, flat roof deck, pool surround, or more; combine our incredible Flexstone base coat with FlexRoc. 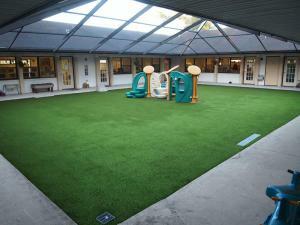 The membranes work well together and help provide a great looking and fully functional waterproof membrane. Applying FlexRoc is quick and easy. 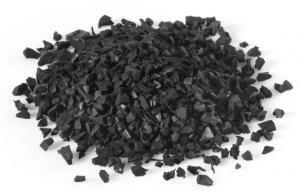 Using a portable mortar mixer, FlexRoc EPDM rubber granules are thoroughly mixed with our aliphatic urethane binder to create a thick malleable material that is then spread over your surface using a flat trowel. The product is then pressed down using the trowel and your body-weight to compress the rubber as much as possible. In order to prevent your trowel from sticking to the surface, the applicator will dip the trowel in soapy water and wipe it down. Once the trowel is lubricated the applicator will proceed to slide it over the surface creating a flat, compact, and uniform surface. The applicator can determine the preferred thickness by simply using more volume of the rubber & binder per square foot. Coverages vary depending on desired thickness. hours of time before it can not be moved. This means that the applicator can take their time spreading the mix evenly and getting that perfectly flat surface. We recommend a thickness of approximately 1/4" to 3/8". 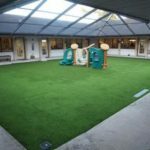 On applications such as playgrounds, daycares, or government institutions, it is often required to create a thick underlay using our less expensive aromatic binder (which ambers in directly sunlight) and recycled black rubber. The decorative coat is then applied atop of the black underlay using our aliphatic (UV stable) binder so it won't discolour. Refer to your local building code to determine the requirements before undertaking a project like the aforementioned. FlexRoc applications are virtually endless, because let's face it, who couldn't use a cushioned attractive durable coating that is easy to remain and 100% safe? 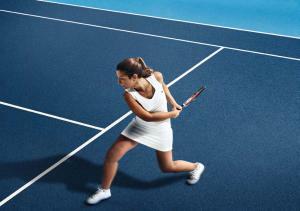 Fortunately, FlexRoc is incredibly versatile and adheres to almost any substrate. Below is a list of only some of the applications in which FlexCoat excels. 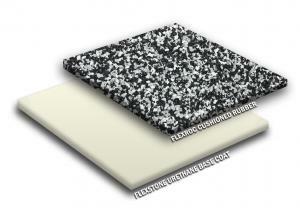 Create a 100% waterproof system by laying our FlexStone base coat beneath the rubber. Dealer inquiries are welcome. Contact us today for more information. FlexRoc is fully compatible with Flexstone. Pair it with our solvent-free base coat for a 100% waterproof cushioned decking system. 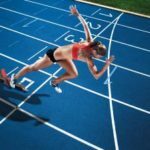 The system is proven, approved, and surprisingly affordable. All the colours listed below are available. We stock: Beige, Pearl, Light Grey and Slate Grey. The other colours are available upon request. Just imagine the possibilities!